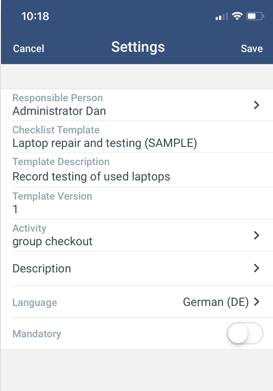 Smartforms can be created, viewed and filled while working offline on the mobile apps by field technicians. With the help of smartforms guided instructions are provided to the field and relevant information is captured and transferred back to the back-office for analytics or further processing. 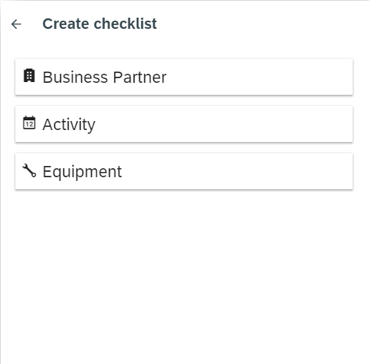 Additionally, the Smartform List screen can help you see important information about the smartform, such as whether it has been completed, by whom, and when. 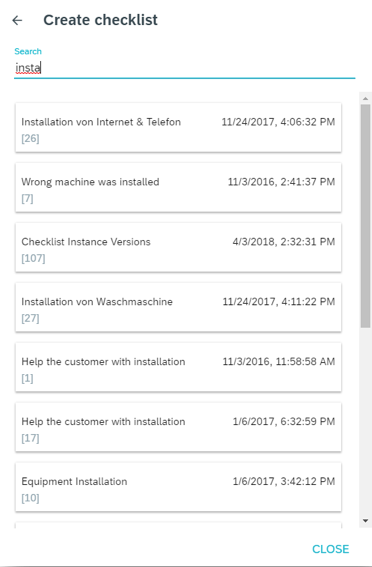 A Smartform instance is a unique record based on a smartform template that is filled in and completed by the field users. Smartform instances are created by the back-office users in the web applications from the activity details or the list of instances or in the mobile applications by the field technician themselves. Responsible Person The technician assigned to the Smartform. Only this can person can edit the content of the smartform. Template Name The name of th smartform. This name is taken from the template. Template Version The current template version on which the smartform is based. Revision If applicable, the current revision of the template version on which the smartform is based. Language The template language on which the smartform is based. Instance Description The description of the smartform instance made by the back-office employee or the field technician. Mandatory Checkbox. 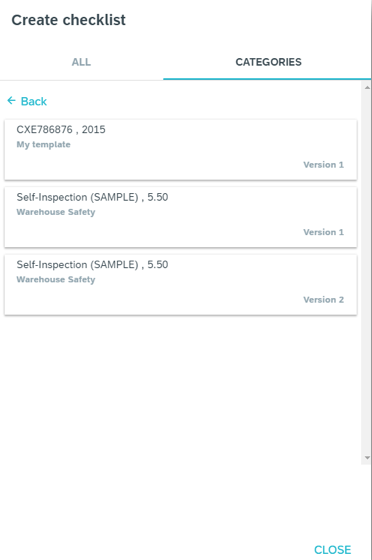 If checked, indicates that the smartform is mandatory in order to start the checkout. A smartform can be made mandatory when adding a new instance (see Add Smartform Workflow below). Linked Object The object to which the smartform is linked. Options include: Business Partner, Activity, Service Call, Sales Order, Equipment. Next, you will select a record to which to assign the smartform. Imagine having a specific smartform for a specific piece of equipment. The first thing you'll need to do is select the template you would like to base a smartform on. You can view all available templates, filter by category, or select from favorites. Next, you'll select the object type with which you wish to link the smartform. For example, the activity or equipment object type. Note that only object types that are permitted are available to choose from. In case of the standard field service setup we only support Activity as linked object type. Therefore, you might not be able to choose from any object type but have activity automatically selected. 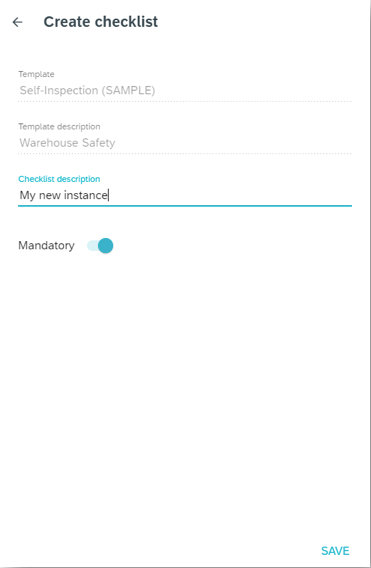 With the default settings on the offline mobile clients, attachments in Smartform templates are downloaded ONLY when the user views the template. As soon as the user exists the template the attachments are automatically removed from the device. This is to ensure the mobile devices do not run out of space in case a lot of attachments have been viewed by the users. 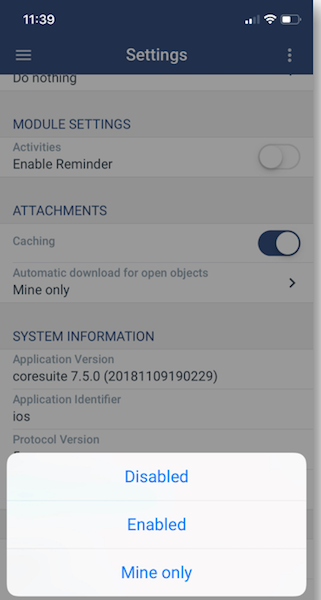 In case field users need to work completely offline and require information provided in attachments while working offline, there is an option to change the application settings to enable caching of attachments and automatic download or attachments during the synchronization process. This will then store all relevant attachments locally during the data sync and make the documents available while working offline. ATTENTION: When instructing users to enable these settings, it is important to advise them to switch off the caching setting and synchronize data on a regular basis to ensure that old attachments that are no longer needed will be deleted from the device in order to free up space.